When I was a kid if I knew my mom was going to have beets (canned) for supper I would have asked a friend, any friend, if I could eat dinner at their house. Things have changed since then. A lot of foods I hated back then, I now like and visa versa. Beets are one of them. I’ve really grown to love their earthly, winey flavor. Roasted beets are super and I favorite of ours. For best results and freshest flavor when using beets, try to purchase them at a local farmers market or at a near by farm. As with most vegetables, beets are so much better when fresh. Did you know that the green tops of the beets can also be eaten? Simply bring a large pot of lightly salted water to a boil. Add the beet greens and cook, uncovered until tender, about 2 minutes. Remove from water with a slotted spoon. Heat 2-4 tablespoons of olive oil in a large skillet over medium skillet. Stir in one clove of minced garlic, 1/2 teaspoon red pepper flakes and turnip greens; cook and stir until fragrant, about one or two minutes. Not only are beets good for you, they taste delicious too. 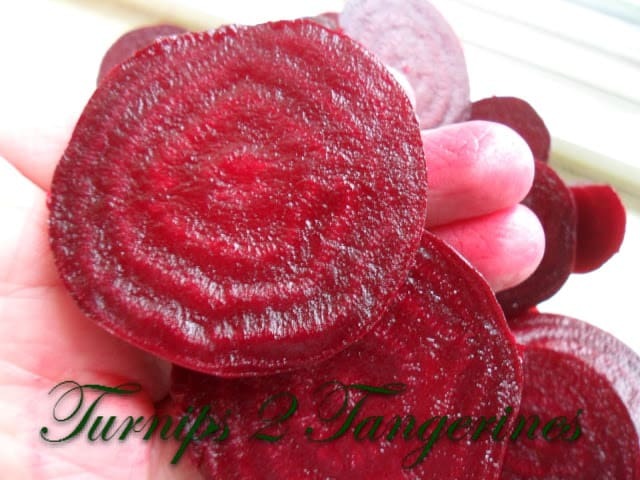 Give this recipe a try and taste how yummy beets really are. 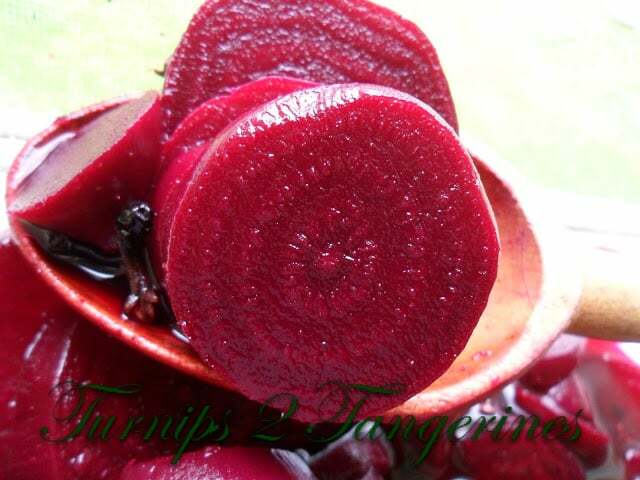 Orange Glazed Roasted Beets. Remove and discard greens and all but 1/2 inch of the stems from beets. 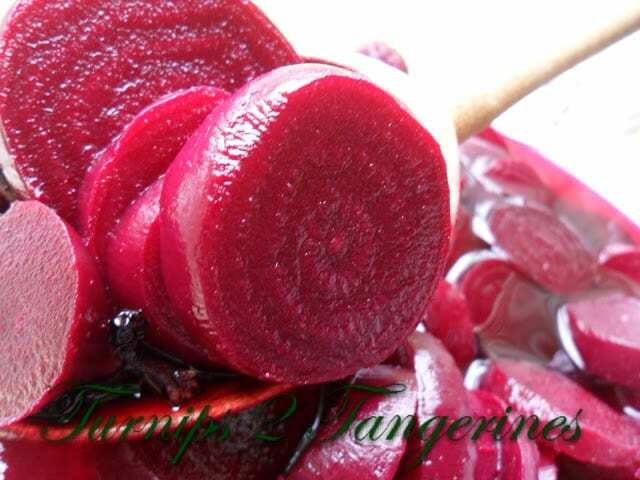 Cook beets in boiling water until tender; drain and cool. 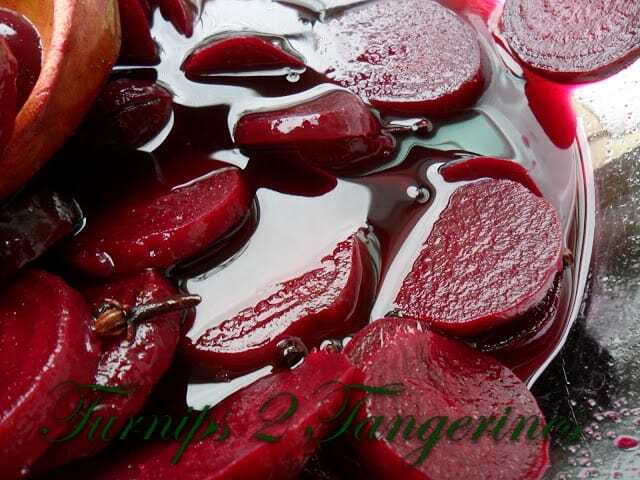 Peel and slice beets; place in a large glass bowl and set aside. In a small saucepan, combine vinegar, sugar, and spices. Bring mixture to a boil; boil for 5 minutes. 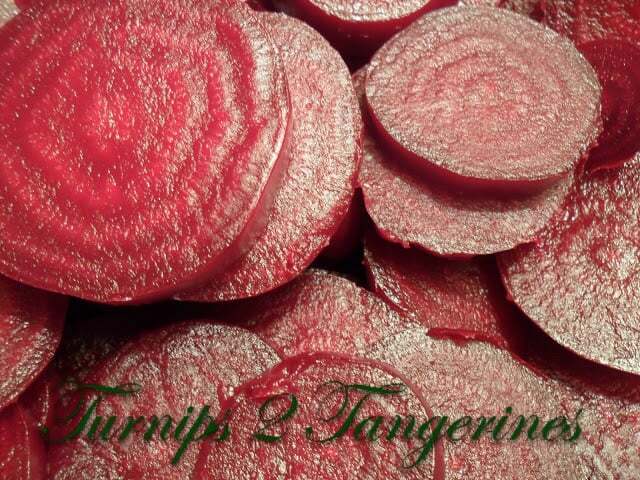 Pour over beets. Refrigerate at least 2 hours. 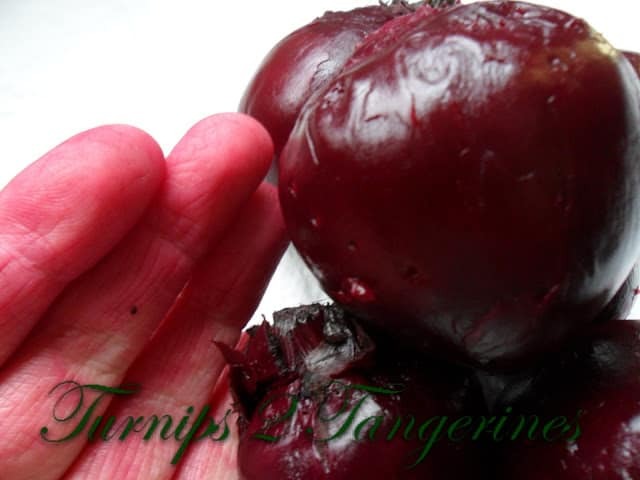 Place beets in glass jars, top off with some of the liquid, cover with tight fitting lids. I LOVE beets! Yum! have featured you at Back to the Basics for The Creative Home & Garden Hop. Come on over and link up your latest creation! Your Pickled Beets look delicious, we just canned several pints of pickles beets we just love them. Thank you so much for sharing your awesome recipe with Full Plate Thursday. Hope you are having a great weekend and come back soon! I love these roasted, but I like feta, but my very best favorite is goat cheese with roasted beets. On my list for the farmers market. Good Evening Lynn, Well how strange, I posted this morning how I was waiting for my beetroot to grow and that I loved roasted beetroot and here you are saying the same….. we must be kindred spirits. I love roasted beetroot and my husband will love the pickled beetroot. I have all the ingredients to pickle the beetroot, so when they are grown I shall be pickling half of my beetroot. Thank you for the method, as I have never pickled beetroot before. I shall enjoy this.